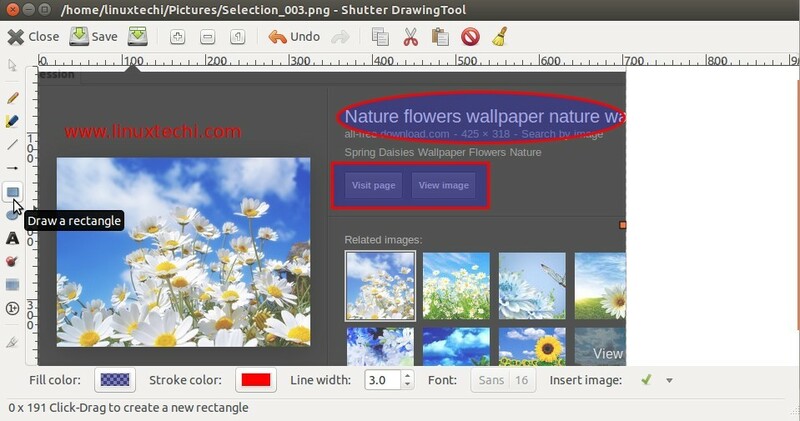 Shutter is a screenshot tool in Ubuntu Linux. Using Shutter we can take a screenshot of a specific area, window and whole screen. It also allows us to draw and highlights important area on screenshot image. 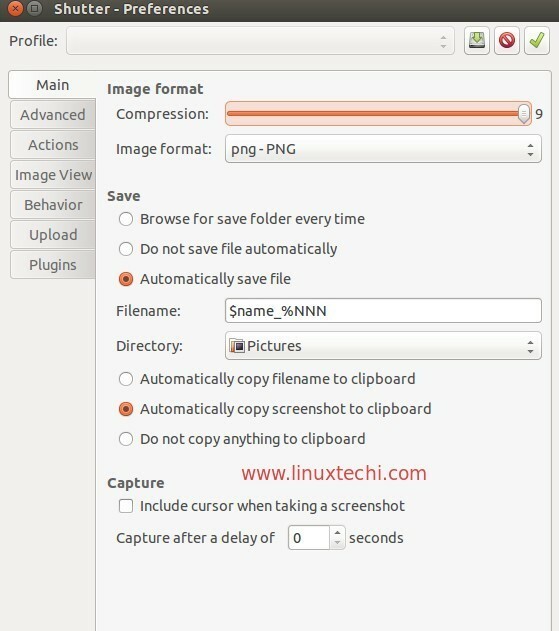 Screenshot image can be saved as jpeg, png, gif, bmp, pdf, ps or svg and can be uploaded to image hosting site using FTP credentials. 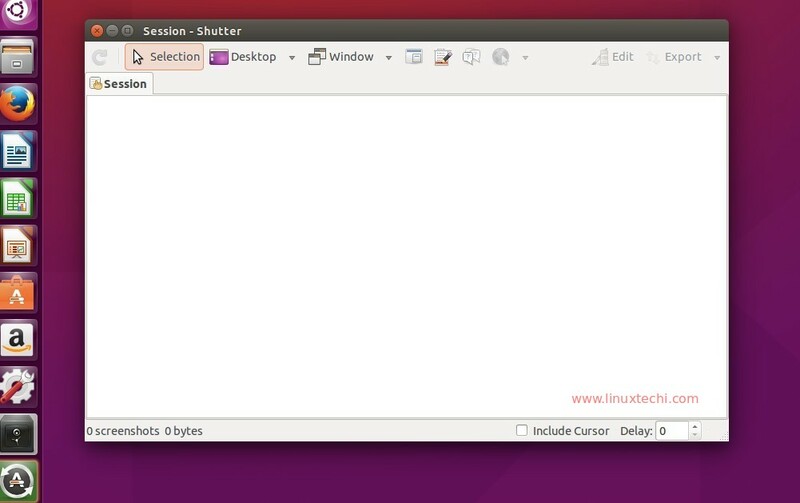 In this article we will demonstrate how to install and use shutter in Ubuntu Linux. 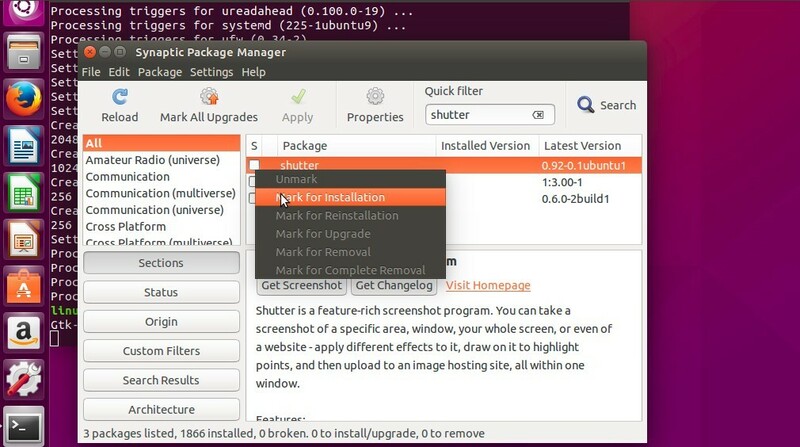 In case Synaptic is not installed then use the below command to install. Select ‘mark for installation’ and then click on Apply. Once the Installation is completed , Now try to access the shutter. Click on the Shutter icon. Change the settings as per your requirements and save the changes. 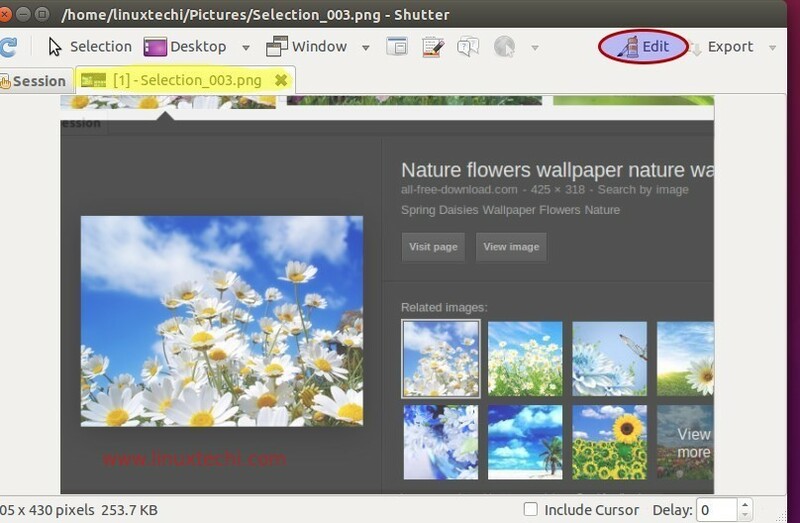 Using shutter We can also upload the screenshot images to image hosting websites using FTP credentials. Click on upload option on Shutter Preferences window. 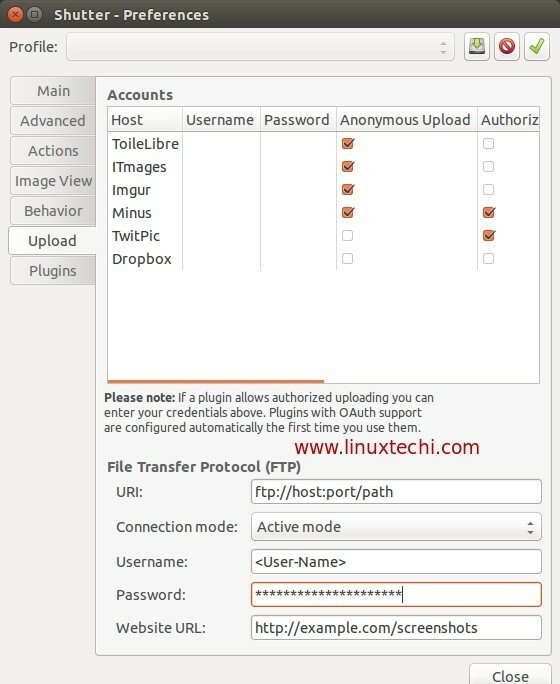 Specify the FTP URI , ftp user name & its password and Web Site URL. Insert Text and highlight important area on screenshot Image. Select the image file and then click on Edit option. we can draw rectangle, eclipse and insert text into image, example is shown below.